The movie house of all movie houses, this is the go-to place for feature films! Half restaurant, half theater, with luxurious leather recliners, this theater is a movie-goers dream come true. 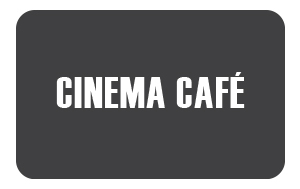 Purchase your discounted Cinema Café gift card and save money on your next movie night! A Hampton Roads treasure, this is the only card you need for entertainment. With over 30 years of experience in the industry, they know how to do movie night the right way! They offer a full-service menu including burgers, pizzas, sandwiches, wings, desserts and more, for reasonable prices. And the wait staff is just a button push away, so you won’t need to leave your seat during the show. And believe me, you won’t want to leave those comfy seats! Purchase a discounted Cinema Café gift card today and let the savings begin! Just think of the money you’ll save when you buy a discounted Cinema Café gift card! What’s not to love about supreme leather recliners that morph to your every need? Combine that with a menu that includes beer, chicken strips, smoothies and more- delivered at the push of a button- and you have movie-watching paradise. They even offer party packages, such as youth sports, birthday parties, and school outings. And with your gift card, you will pay less money! Plan your next movie night or party event today and let the savings begin! Not only will a Cinema Cafe gift card save you money, but Cards2Cash also carries discounted gift cards for many other theaters, restaurants, and shops! For even more savings, every day, check out our listings for Fandango, Regal Cinemas, AMC Theatre, FYE, and more! With Cards2Cash, you can save money every day of the week! Do you have a Cinema Cafe gift card you’re not going to use? Sell it to us! Cards2Cash buys gift cards for many retailers. What’s more, we pay top dollar for them! If interested, just stop in one of our retail locations for on the spot payment, OR simply fill out our easy online form and we’ll get back to you with an offer you won’t refuse. Cards2Cash has your gift card needs covered!